Breckenridge, Colorado a historic town located in the Rocky Mountains features a great selection of rental villas, condo rentals and vacation homes. Breckenridge which is nine miles north of Frisco, provides tourist year round fun, rather it be during the winter or summer. The Breckenridge Ski Resort offers a variety of peaks to suit any skier, rather you are a beginner or professional. There are gentle slopes and then theres the more higher, steep slopes for advanced skiers. If you have never put on a pair a skis, you can get lessons by an instructor at the mountain. Whatever your experience is with skiing, you will be able to really enjoy yourself and the amazing views from around the area. Skiing isn't the only thing to do while staying in your Breckenridge, CO Vacation Rental. There are great places to shop along Main Street. You can also enjoy amazing the fantastic places to dine in. During the summer months, you can enjoy outdoor activities such as hiking the mountain, going on bike rides and the great fly fishing that is available. There are resevoirs, lakes and reservoirs throughout to provide you the best fishing possible. It doesn't what part of the year you want to visit Breckenridge, you will amazing time rather it is in the winter or summer. If you are flying, the closest airport is Denver International, which is about 100 miles away. 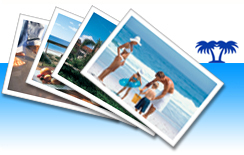 You can find a large selection ofvacation rentals by ownerright here at ivacationonline. Learn more about the rentals by selecting the property you are interested in and you can book it online using ourvacation rental software.Your next dream vacation can be booked in a matter of minutes!